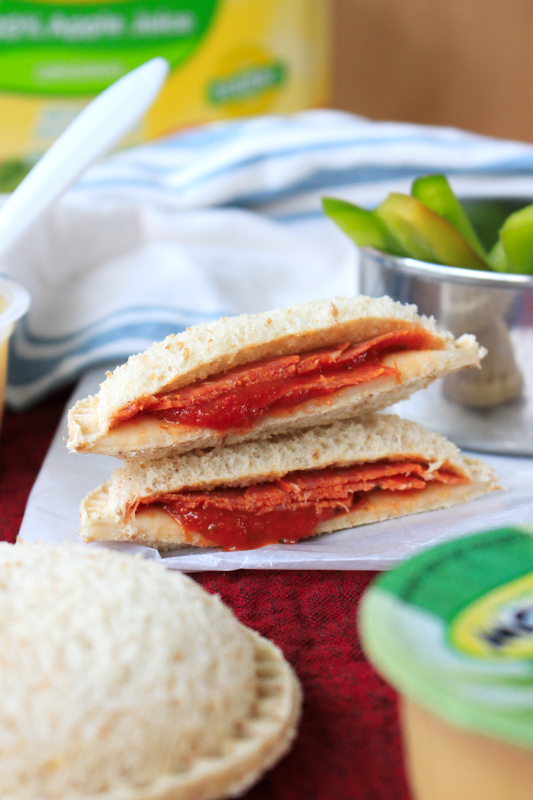 This kid-friendly collection of creative sandwich ideas will bring some variety and fun to your back to school lunch box! Are your kids good eaters? As a mom, I know how lucky I am that my kids do a really good job of being open to trying new things. I always prepare the same meal for the entire family and the kids are good about eating what my husband and I eat. Sure, occasionally they will give a polite "no thank you," protesting something they really don't want to try, but all in all, I have been blessed with kids who naturally gravitate towards adventurous healthy eating. The day my 4-year old told the dentist that his favorite food is crunchy green beans was a proud momma moment! I do have to admit, though, that there is one time of the day when I have a hard time getting the kids on board with trying new things, no matter what. Lunch! During the last school year, my kids were in a serious lunch box rut. Every day lunch was the same thing: peanut butter and banana for my oldest and peanut butter and jelly for my little guy. That's certainly not the worst thing in the world, but as a food blogging mama, I am a firm believer in mixing it up sometimes and trying new things. You know, to bring a little fun and creativity to your meal and to break out of the norm! Variety is the spice of life, after all. But not to these kids. Nope. They would just keep eating the same old sandwich day after day if it were up to them. Thank goodness they love to mix up the sides with their sandwiches, otherwise, my little Two Bite heart would be broken! I'm thankful that they enjoy things like yogurt, popcorn, and veggie chips with their lunch. I am excited that now we can add more nutritious drink options to the mix, too, thanks to the NEW Mott's® 100% Juice Pouches at Publix! 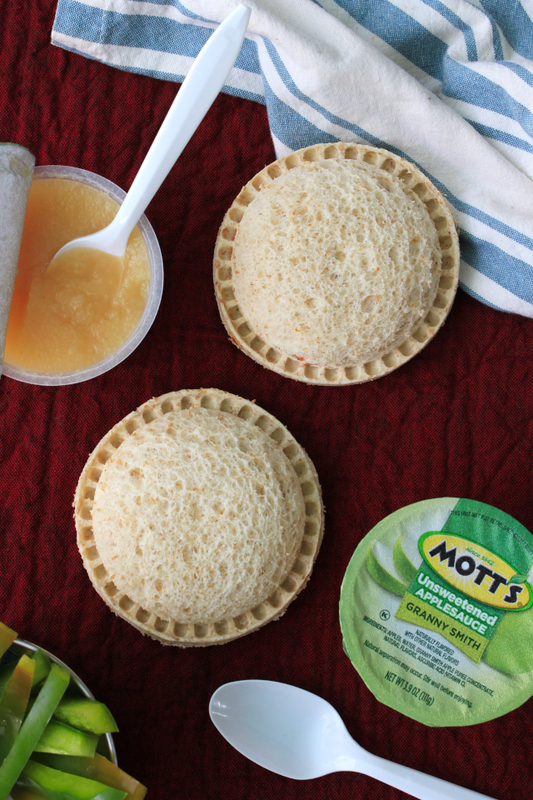 Our favorite Mott's 100% Juice now comes in convenient pouches that are perfect for on the go lunch box packing. The pouches come in Apple, Apple White Grape, and Apple Mango flavors, giving us plenty of opportunities to mix things up in the drink department every day. Yay! I am determined to make this the year that we break out of their PB&J everyday rut, too. No more boring lunches for my kids! That's why I've put together a collection of six ways you can beat a boring sandwich! 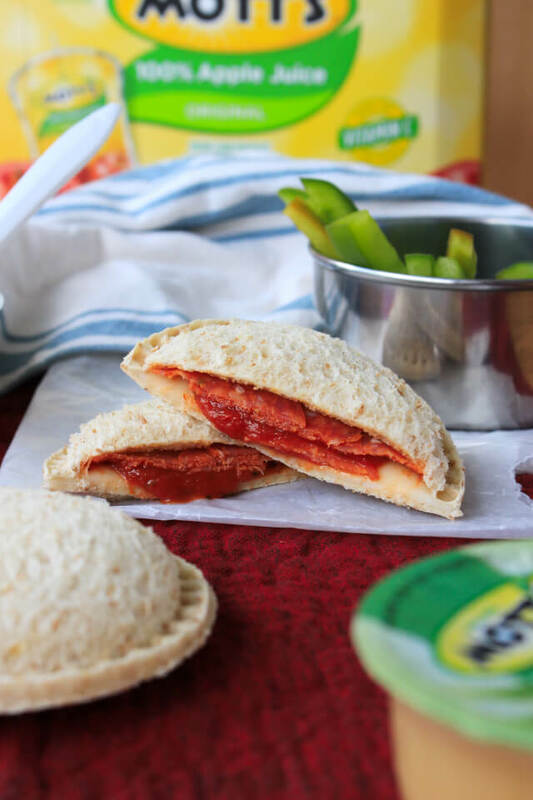 Pair these fun sandwich ideas with the new Mott’s 100% Juice Pouches and your kids will be on their way to enjoying a variety nutritious lunches every day of the week, which in turn will totally encourage adventurous eating for years to come! What's not to love about that?! 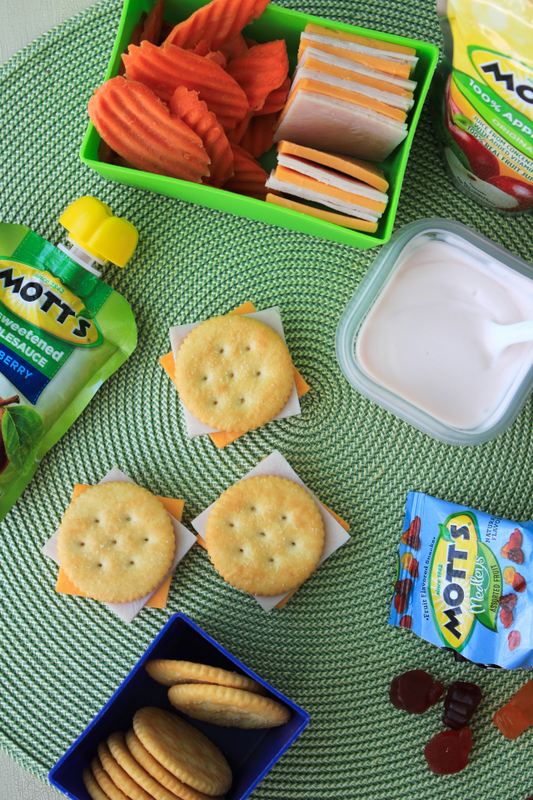 I've also got a great money-saving event to share with you so that you can save on all kinds of Mott's goodies to pair with your creative sandwiches! BUY ONE, GET ONE FREE AT PUBLIX! Be sure to check out this print at home coupon offer for $1.00 off the 8PK 6.75 oz Mott’s Juice Pouches on BuildBetterLunches.com, valid 8/30 – 9/29! Now, without further ado, on to the sandwiches! Taking the number one spot, these sandwich pockets are my very favorite idea for making mornings a breeze! Using a sandwich press or a wide-mouth mason jar lid, press your favorite sandwich fillings between two pieces of bread to make a pocket. Our favorite is pizza pockets! To make: Press a slice of mozzarella cheese, a spoonful of pizza sauce, and a few slices of pepperoni between two pieces of bread. (Make sure the sauce is between the cheese and the pepperoni or the bread will get soggy!) Wrap in wax paper and freeze until ready to put in your lunch box. It will be thawed by lunch time! This will work for any lunch meat and cheese combo or PB&J. Favorite pairings also pictured: Mott's Granny Smith Unsweetened Applesauce, Mott's 100% Apple Juice Pouch, and green bell pepper strips. 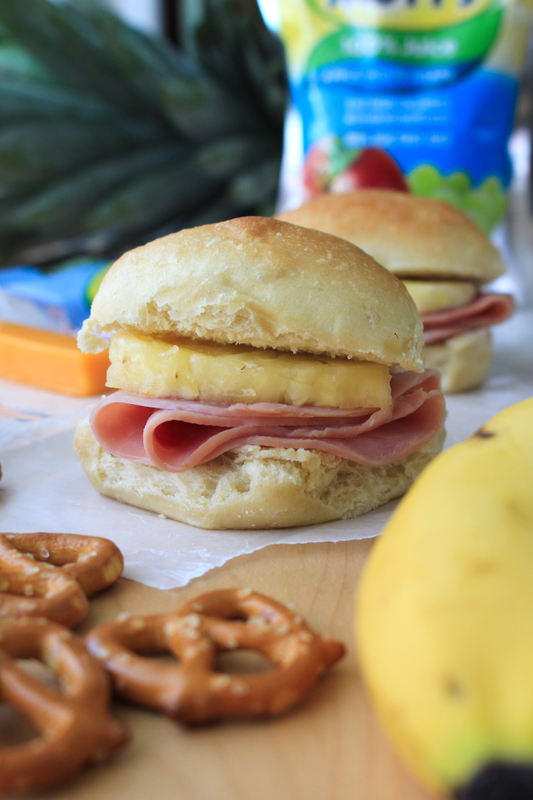 Hawaiian sweet rolls are a fun change from your usual sandwich bread. These little rolls are the perfect size for lunch boxes and can be filled with all of your favorites. Don't be afraid to try a thin slice of fruit on your sandwich! We love to pair sliced ham and fresh pineapple. Turkey and apple is delicious, too. Teach your kids while they're young that sweet and savory is an awesome combination. Mott's 100% Apple White Grape Juice Pouch, Mott's Medleys Fruit Flavored Snacks, pretzels, a cheddar cheese stick, and a banana. 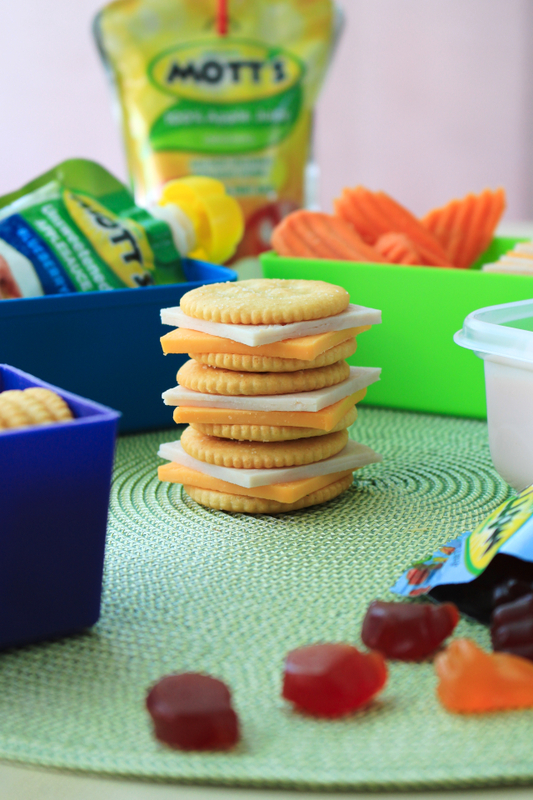 Nothing says bye-bye boring like make your own cracker sandwiches! This idea ditches the bread for kid-friendly crackers filled with square-sliced deli turkey and cheese. 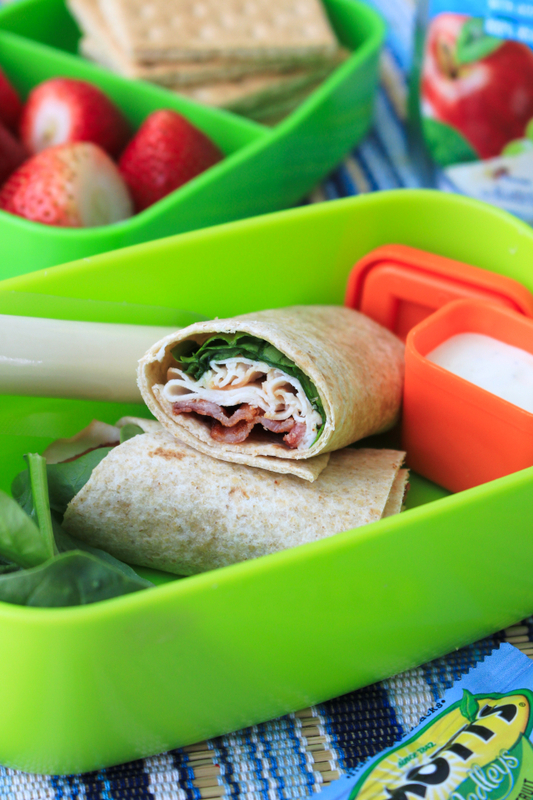 Pack the lunch meat and cheese separately and let the kiddos assemble them by themselves at lunch time. They are guaranteed to want these cute little sandwiches again and again! Mott's 100% Apple Juice Pouch, Mott's Unsweetened Blueberry Applesauce Pouch, Mott's Medleys, and carrot chips. I know, I know, wraps aren't technically a sandwich, but I had to include them. I've added them to the list because wraps are so much fun and the perfect way to beat the boring sandwich blues. I like to buy small, taco-size whole wheat wraps and fill them with all different kinds of things like chicken salad, lunch meat and cheese, or even leftovers from dinner! Wraps are even great for your leftover breakfast! 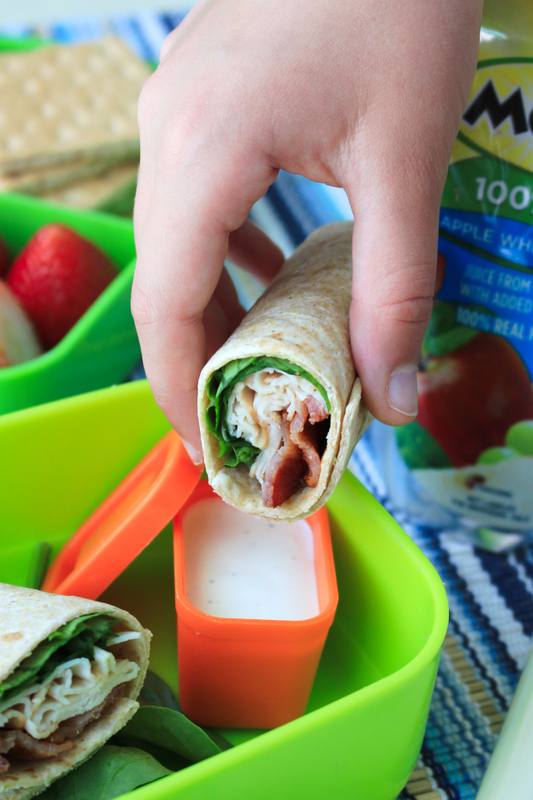 That's right, if you stash away a slice of bacon or two from Sunday breakfast, on Monday morning your kids will be thrilled to find bacon tucked inside this tasty chicken bacon ranch wrap made with deli-sliced chicken breast, fresh spinach, bacon, and ranch on the side. Mott's 100% Apple White Grape Juice Pouch, Mott's Medleys, strawberries, mozzarella string cheese, and graham crackers. Break the boring lunch mold and serve your next lunch box sandwich on a mini whole wheat bagel. Mini bagels the perfect size for lunch boxes and are a creative way to breathe new life into the classic PB&J. Really surprise the kids and swap the peanut butter for cream cheese! Perfect for a bagel, wouldn't you say? 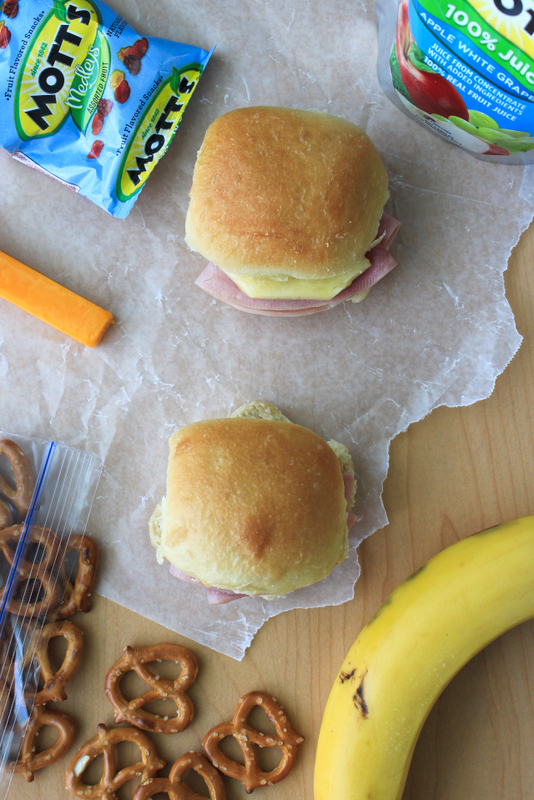 One mini bagels sandwich is just enough for my kiddos, but with their compact size, you can always pack two for the older kids who have a bigger appetite. Mott's 100% Apple White Grape Juice Pouch, Mott's Medleys Fruit Flavored Snacks, blueberries, raspberries, mozzarella string cheese, and popcorn. 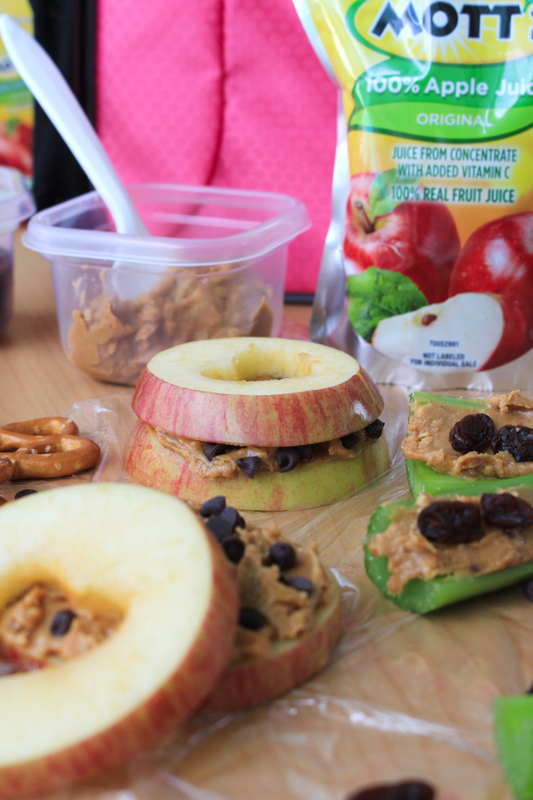 A favorite for Fridays, these sliced apple sandwiches filled with peanut butter and chocolate chips are a fun way to end the school week! 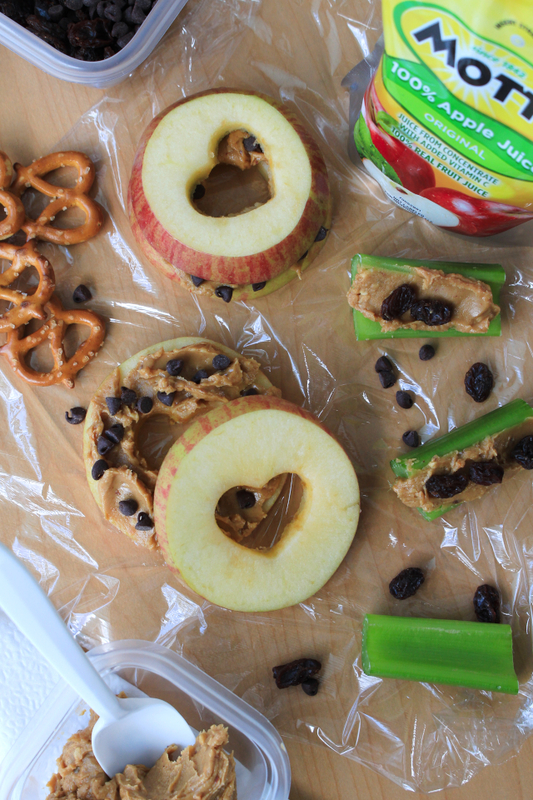 Slice your apples and pack them as a stack to maintain freshness, and send along a container of peanut butter and chocolate chips on the side. Might as well throw in some raisins and celery to go along with the peanut butter, too! 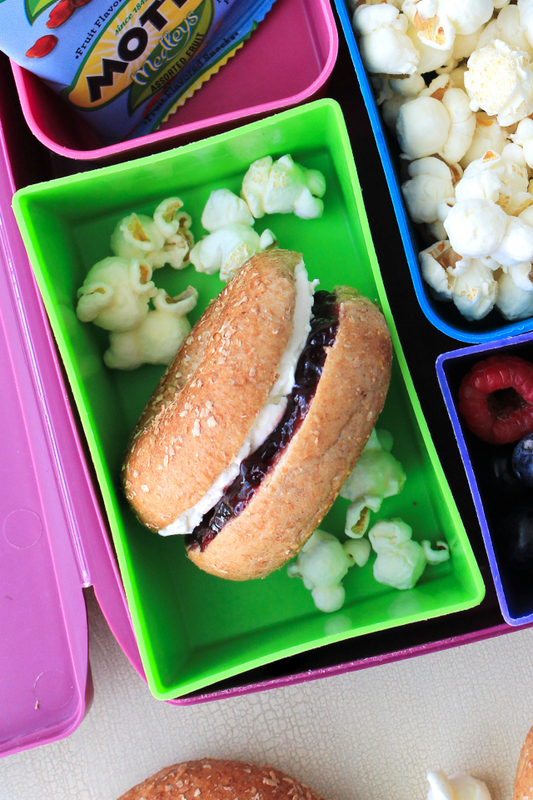 This DIY sandwich lunch box requires no bread at all, but your kids will never miss it with this delicious and nutritious alternative. Mott's 100% Apple Juice Pouch, celery, raisins, and pretzels. 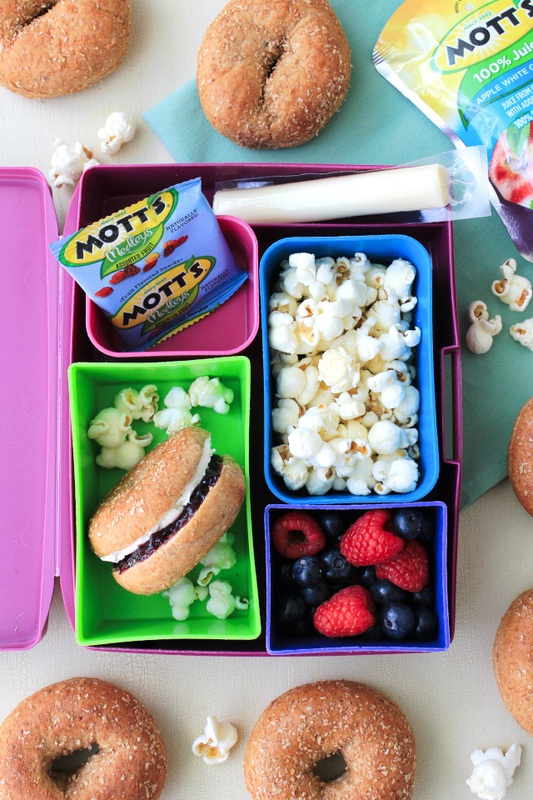 For even more healthy lunch box solutions visit www.buildbetterlunches.com to get inspired and don't forget to stock up on all of your favorite Mott's goodies at Publix (B1G1 from 8/24 – 8/30) to make sure you are ready for goodness on the go this school year! Thank you for the great ideas! These are the best I have seen. Love this idea because sometimes I can't think of what to feed my little boy, thanks for sharing!